Hodder & Stoughton, 2018, paperback edition. From the opening pages of Nevermoor: The Trials of Morrigan Crow, it would be tricky for any reader not to hope things will get better for Morrigan Crow. Everything is stacked up against her. Morrigan has been branded a cursed child. She is destined to die at the age of 11, and like other cursed children living in the gloomy and rigid territory of Jackalfax, is treated as a scapegoat for all the troubles that befall her community. Reading on we find out Morrigan’s father must pay reparations for the damage she supposedly causes. She must write a stream of letters of apology to those who have suffered broken hips, bad marmalade and other calamities which are attributed to her very existence. Sure enough – and just in time as it turns out Eventide is coming early – an opportunity arises. Morrigan takes the opportunity to sign a contract and accept the patronage of Jupiter North. The tall and stylishly dressed member of the Wundrous Society arrives during Morrigan’s final birthday meal on Eventide. Without delay, Morrigan joins Jupiter and escapes the dreary world of Jackalfax into the colourful and magical world of Nevermoor. Once she has arrived Morrigan settles into her new home, the Hotel Deucalion. Nevermoor and the Deucalion are bright places which contrast with Jackalfax. 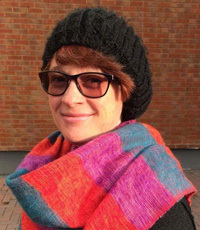 Nevermoor author Jessica Townsend has spent time in London and is fascinated by strange pockets of cities and public transport. Scenes set on the Wunderground in Nevermoor reminded us very much of the London Underground. Morrigan embarks on an exciting journey to learn about her skills and talents. But her position in Nevermoor is precarious. She is threatened with deportation – which doesn’t just mean a dull existence where she is unloved – but likely death for Morrigan. We really feel her terror at the pursuit of the sinister Hunt of Smoke and Shadow. This is one aspect of the book which makes it so gripping. When Morrigan begins to take part in the daunting trials to join the Wundrous Society, the stakes are so high for her. Unlike other children taking part, she knows if she fails she will be sent back to Jackalfax to confront the fate of all cursed children there. Her newfound friend Hawthorne, who has a knack for dragon-riding, joins Morrigan in her trials. She also deals with adversaries Cadence and Noelle. She gets to know an intriguing collection of staff and residents at the Deucalion. These include a huge Magnificat, a singer who charms small creatures, a Vampire dwarf and Jupiter’s off-hand nephew. The trials which Morrigan faces are thrilling and shocking. The lead up to the fright trial was particularly creepy and left me with genuine goose bumps. Not everything is as it seems in Nevermoor. Morrigan wonders what ability she has that made Jupiter nominate her. She is also curious to know why the assistant of Ezra Squall is taking such an interest in her progress. My son gave me this book as a mother’s day gift. He read it before I did and enjoyed it immensely. While reading I loved the way the story kept me guessing. So I had to read it as quick as I could to stop my son from revealing spoilers to me! Could this be a great new book for Harry Potter fans? Morrigan’s journey from being an unloved child into a magical world has already drawn comparisons with the boy wizard Harry Potter. This is certainly a great book for fans of Harry Potter. But don’t worry, Nevermoor: The Trials of Morrigan Crow has plenty of original characters, ideas and novel twists and turns to keep the reader guessing. Cursed or not, (you will have to read the book to find out), Morrigan has won our hearts. This is a great book for children and also for any older readers who enjoy magical fantasy and are young at heart. Have you read Nevermoor: The Trials of Morrigan Crow? If not are you tempted to give it a go? Let us know in the comments below. If your child enjoyed this book they may also like to read other recently released fantasy books like this or classic magical fairy tales like this. 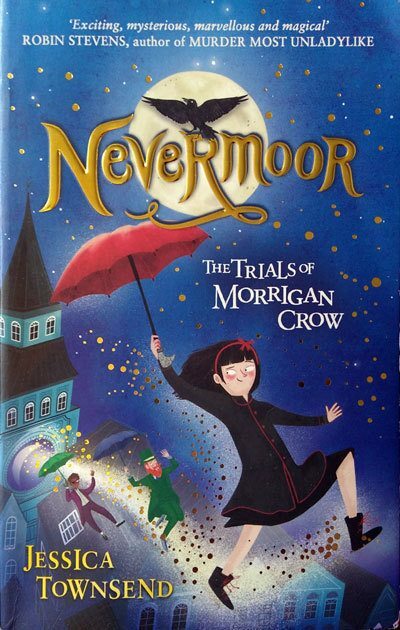 Check out prices and availability of Nevermoor: The Trials of Morrigan Crow here.